We currently operate a range walking floor® trailers. These are used in the recycling industry for the transportation of commodities such as Biomass, Waste wood, Compost, Green Waste, Paper and Glass. This all reduces the need to send waste streams to landfill. We send these trailer both to local destinations and nationwide. These trailers have the added bonus of being able to reload both standard bulk cargo and palletised goods. We can offer both standard walking floors and heavy duty trailer’s for loads such as waste wood or glass. We operate truck mounted forklifts (Moffetts/Manitou) for deliveries and collections to sites that have either no forklift or other means of offloading. This means that we can offload pallertised goods or items upto 2500kgs. They operate the same way as a conventional forklift, but also work well off road. 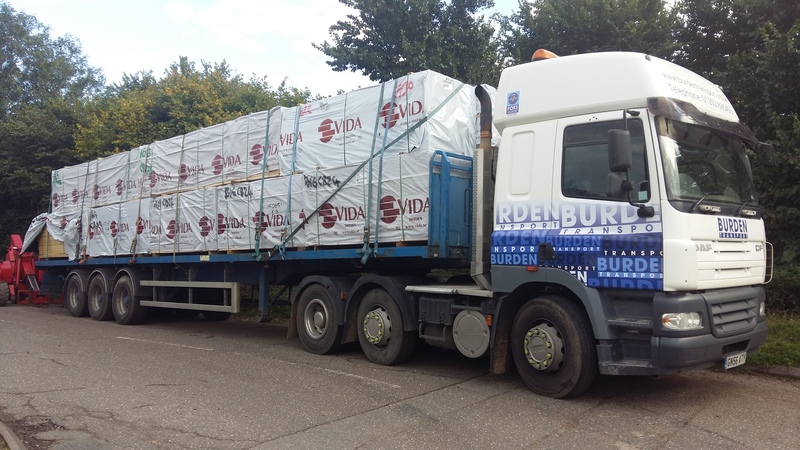 This means they they are ideal for deliveries where a conventional lorry crane may not be able to gain access. We also find them more adaptable than a tailift. All of our Machines maintaned to LOLER standards. Our drivers have both years of experience and also the required license to operate these machines. We can supply these forklifts on either curtain side, flat or urban trailers providing a payload of up to 25,000kgs. 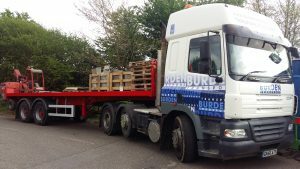 We operate flatbed trailer’s for deliveries both to the construction and general haulage industries. They are ideal for loads that require crane offloading. We have a range of trailer sizes ranging from standard 13.6m to 9m urban trailers. Both types can be equipped with Moffetts for self offloading .We can also offer fall arrest systems as required by some sites. 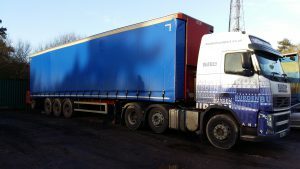 We also use these trailers for any cargo that does not require weather protection. 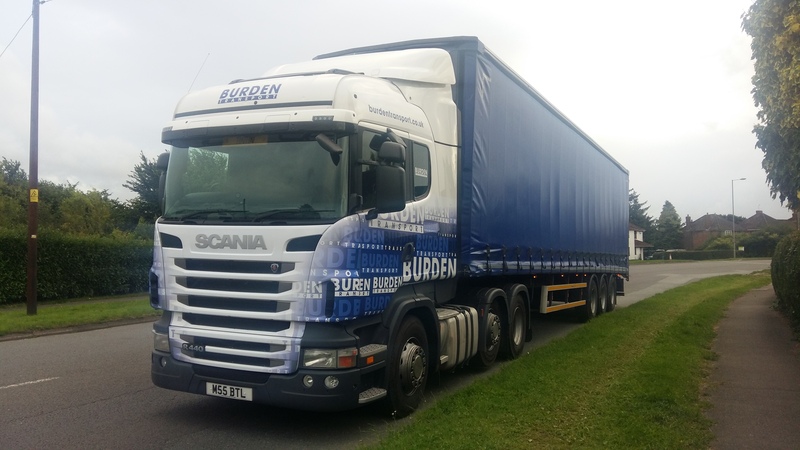 Flat trailers have now become rare, but we find them vital for some loads. All of our drivers have recently completed the FORS Safe Urban Driving Course. This involves drivers swapping places with Cyclists for 3 hours to give them a better understanding of the problems that cyclists have with HGV’s. This hopefully reduces the chances of incidents involving cyclists and HGV’s. Luckily a number of our staff are already regular cyclists. This is also an important part of planned progression to FORS Silver. Due to the expansion of our vehicle fleet, we have recently relocated to a new operating centre. Located ideally on the side of the A31 at St Leonards, which is Dorset’s main truck road for going either north or east. The site which has security cameras, is fully fenced and has 24hrs security. It also offers us the option of expanding to customers needs. 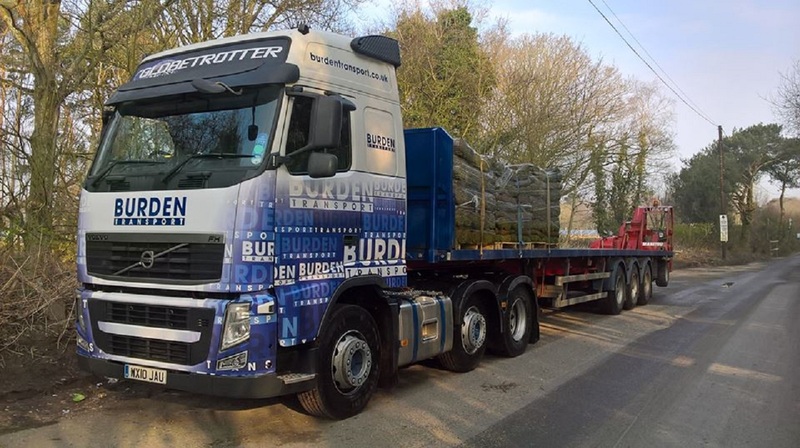 We have recently expanded our fleet with the addition of a Euro 6 Volvo FH Tractor Unit. 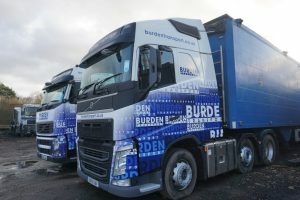 The unit equipped with a Globetrotter cab and walking floor hydraulics will be used on a combination of walking floor recycling deliveries and also UK general haulage. With the benefit of Euro 6 emission standards the vehicle can travel thought all LEZs currently planned. 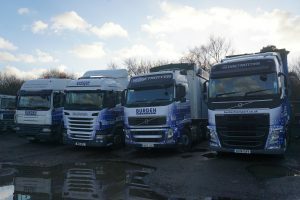 This compliments our existing fleet of Euro 5 vehicles.